Elevated, precise quality. Every detail of Mahlefitz Münchner Präzisionskaffee, which translates to “Munich Precision Coffee,” is thoughtfully executed, from the seating of a single person to menu design. But perhaps the best part is that your expectations are tweaked with such precise nuance that you walk away with a memorable experience akin to having a satisfying, well-prepared meal. 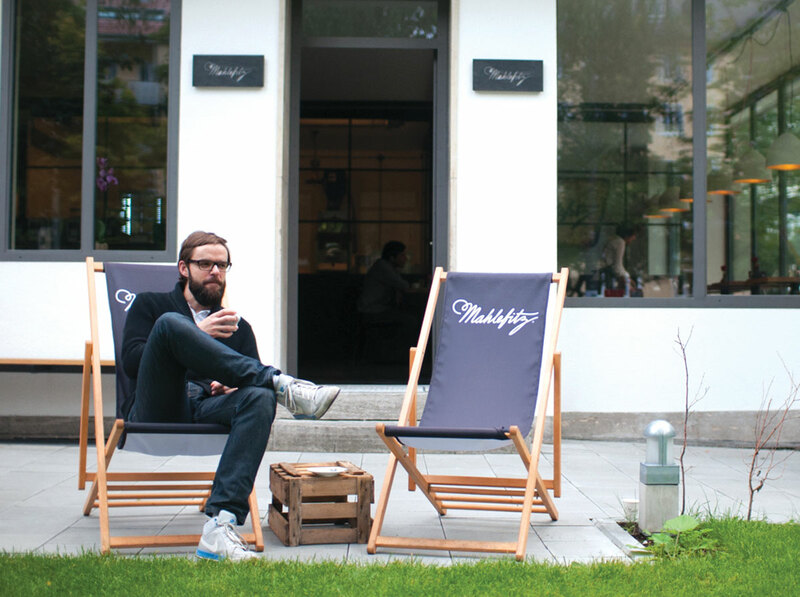 Co-founders Sebastian Lösch, Peter Schlögl, and Mojgan Ensafi opened Mahlefitz in early 2014. Before starting the roastery, the co-founders visited various roasters to learn more about the industry. “Everybody was so friendly, cooperative, there seems to be no competition-minded behavior of people like in other industries, “ Mojgan says of their initial visits. Peter crossed over from specialty wine, finding many correlations between the two industries. Sebastian, hailing from a background in coffee as a barista and national latte art competitor, is now the roaster. To customers, he offers engaging conversation and an easy smile beneath his beard. The coffee scene in Munich is quiet but friendly. Aside from one or two specialty cafés, Sebastian admits, “It’s hard to tell you where to go.” The city of Munich has a population of 1.47 million, qualifying it as the third largest city in Germany, after Berlin and Hamburg, but in terms of specialty coffee Munich has a lot of catching up to do, and Mahlefitz is brimming with ideas. The experience of Mahlefitz begins on the outside. 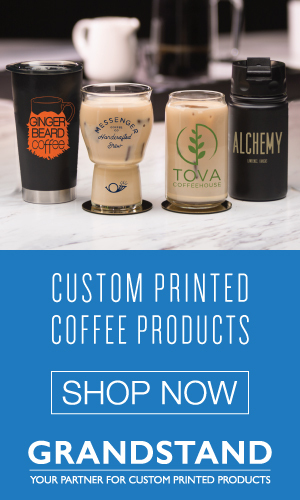 Located on a street with medium foot traffic, in a neighborhood offering a mix of businesses and homes, the corner café-roastery is inset a significant way from the sidewalk. First, a glimpse of a chalked sidewalk sign, proclaiming, “Coffee to go.” Then, a long expanse of luxurious, gorgeously green lawn, unexpectedly set with Mahlefitz-branded wood-and-canvas sling chairs, quietly urges you to stay awhile. “We didn’t want to be in a pedestrian area or a high-frequency area, because you need to have a bit of time if you want to experience the coffee,” explains Sebastian. 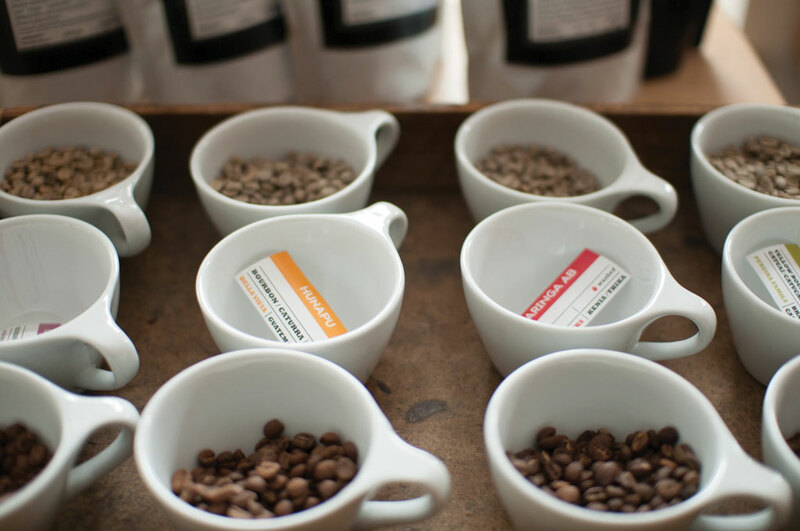 Samples of green and roasted beans sit alongside information cards for a sensory and educational experience. 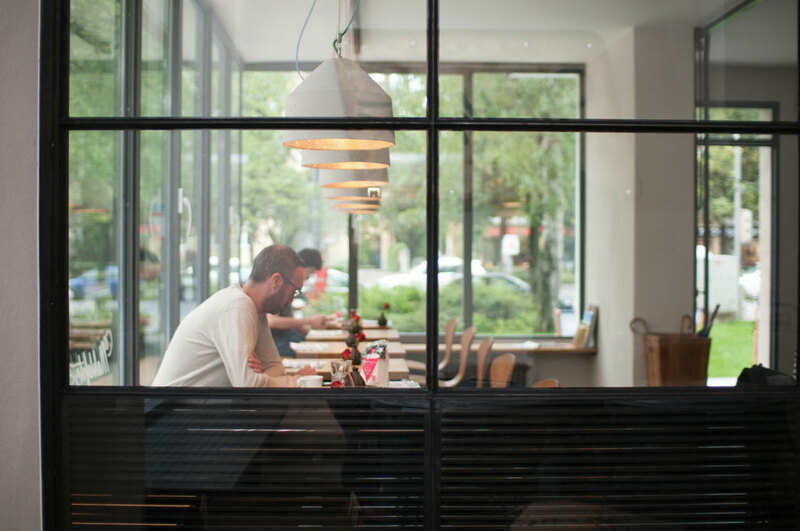 Once inside, natural light pours in easily from the large windows onto blonde wood tables and through a glass partition to the roastery, highlighting clean lines of Nordic-influenced design throughout the space. A comfortable leather-topped bar affords close proximity to a variety of brewing processes. The back wall is home to a custom, cubic shelving unit seeming to house every brewing accessory under the sun. Centered at a window-filled wall on a small table at chest height, you’ll find the current offerings in trays—both green and roasted—along with information cards. Details punctuate the tranquil, minimalist space. Each table is topped with a short vase holding a single red rose and lit by modern lamps, each connected to a different color of electrical wire. Natural light pours in easily from the large windows onto blonde wood tables and through a glass partition to the roastery, highlighting clean lines of Nordic-influenced design. 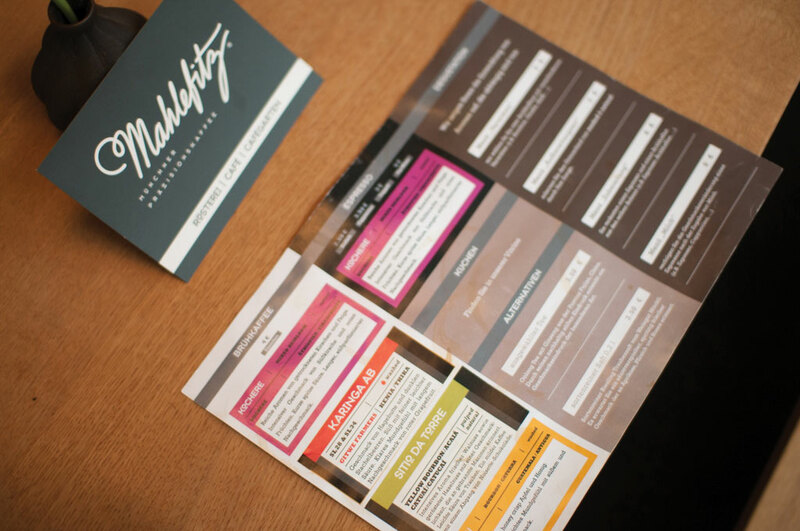 A thoughtful approach to service and an eye for aesthetics extend to a colorful, detailed menu, carefully designed and printed to incorporate each new coffee. To focus on flavor, the menu’s first column details their selected coffees’ taste components. In the second column customers are invited to decide on the preparation: espresso, espresso with steamed milk, or Aeropress. Sebastian says, “We want people to know that they can choose what [flavor notes] they want, then maybe they want to have a different preparation method.” The naturally processed Ethiopia Kochere is a bright, fruity, and complex coffee that differs distinctly from an average customer’s drinking history. 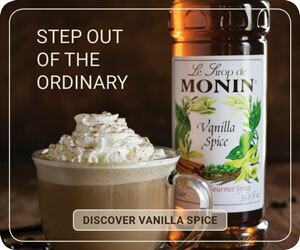 Silkily smooth, serving it in a cappuccino changes the customer perception of what that drink can taste like. And that is exactly what Sebastian wants. Regularly updated menus go in depth into flavor and origin. 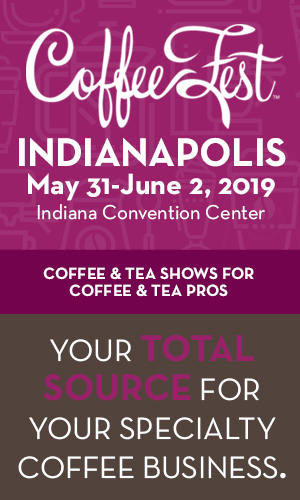 At the onset of their second year in business, the co-founders have big plans, including a national expansion and entering into barista and brewers competitions. 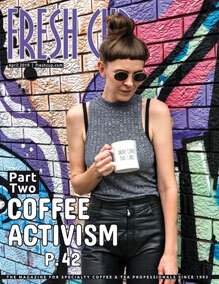 They see another location in the city as an access point to a wider audience, but roasting and other operations would remain at the flagship. —Story and photos by Jenn Chen, a San Francisco-based coffee consultant and writer.